*PUBS ORDERS: Friday, May 31, 2019, is the deadline to submit orders to PUBS, on your 2018-19 budget; the exceptions are graduation programs and tickets. You may continue to submit orders after this date. However, they will be billed to your 2019-20 budget (unless special instructions are added to do otherwise) and available after July 1, 2019. **Deadline to have job orders arrive the 1st week of school: Friday, June 7, 2019 - Please submit the first 2 weeks of your fall copy jobs (with approval) by June 7th. Jobs submitted after this time or without approval may not be completed until after the beginning of the school year. 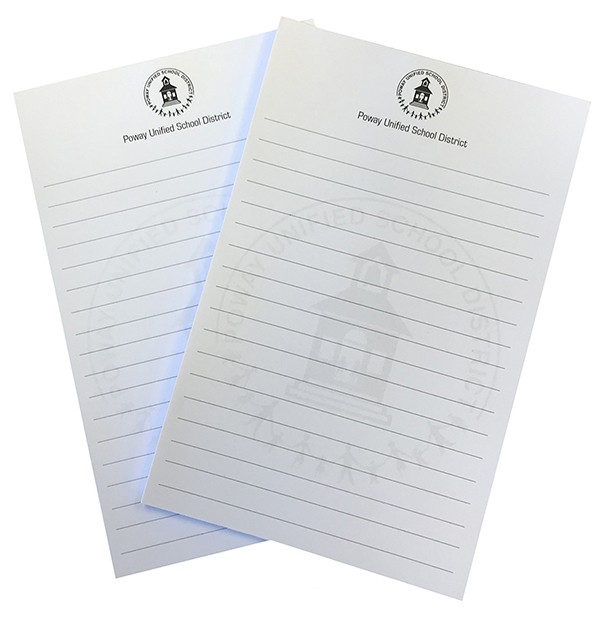 Now offering PUSD 8.5x5.5 Coil Bound Notebooks and Notepads through the PUBS Store. Our mission is to provide exceptional service and to follow through on our commitments. We will strive to deliver individualized solutions to all of our customers’ printing needs. The Publications staff is focused on surpassing expectations while delivering a quality product in a cost effective and timely manner. As of January 1, 2018 we will no longer accept hard copies; all job orders must have files attached. *If you do not have access to a scanner at your site, please send us your hard copies and we will scan them for you and attach them to your job order, where you can retrieve them for future orders. Please be mindful of the "Due Date"- please change it to farther out if you don't need your copies right away. 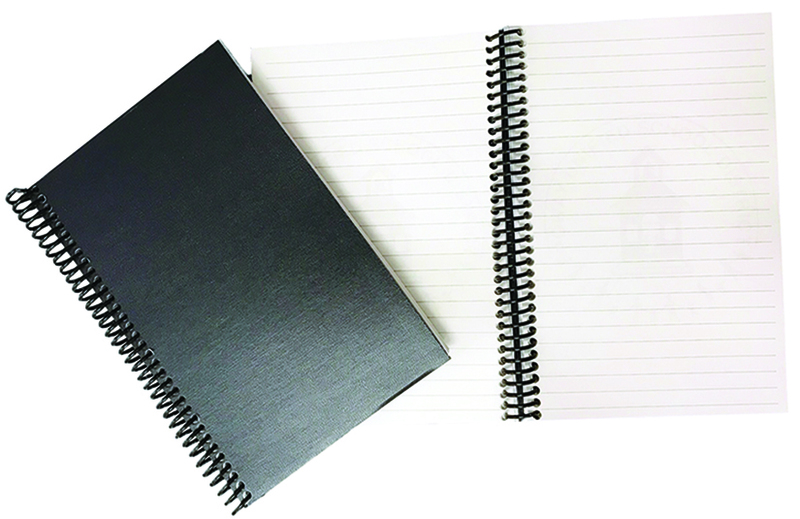 Perfect Binding Minimum: 50 sheets. "Sheets/Set" = How many sheets (originals or masters) PER set? "Quick Copy" does not offer any "Finishing" service options. Use for basic Black printed copies only. "Printing Order" are projects that include Stapling, Three-Hole-Punch, Folding, Binding, Cutting, or any other "Finishing" services. To start an order please click on an icon below; for categories not shown click on "New Order" above. QUICK COPY – Use this option for basic black and white copy requests – 8.5"x11", 8.5" x 14" or 11"x17" – with 1,000 or fewer copies. This option is limited to NO FINISHING (no Stapling, Hole Punch, etc.). Most jobs can be completed and delivered within 1 to 2 days. PUBS STORE – Use this option for requests of standard District and site forms Letterhead and Business Cards (originals/masters are already in the Publications system). A: Most simple jobs will be completed and delivered (or picked up) within 1 to 2 business days. Longer jobs can take 5 to 7 days. If you are in a rush – please check the RUSH box. Q: Why does my screen keep locking up? A: We have found the most dependable browsers to be Google Chrome or Firefox. If you are experiencing difficulties after logging in through the ZENworks window shortcut, log out and try using one of these browsers to go to our site at pubs.powayusd.com. Q: What happened? I clicked the back arrow on my browser and lost my work! A: You will get the best results using the “ << Back ” button within the PUBS System at the bottom of the page and not your browser’s back arrow at the top of the screen. Q: I don’t have an electronic file, can I still submit an order? A: Absolutely! Please contact us to arrange to have your hard copies scanned.